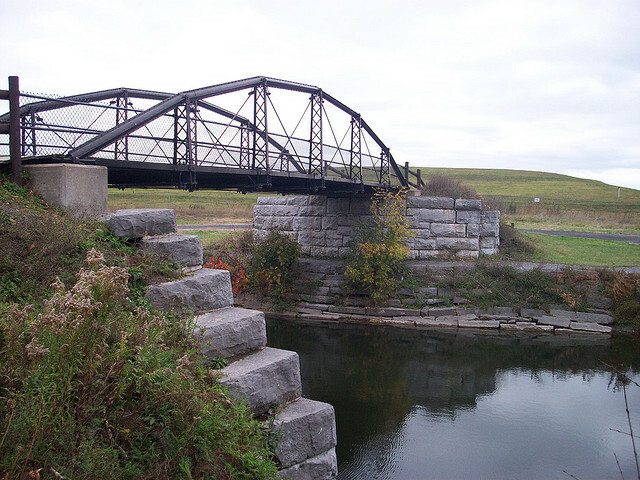 Whipple Truss Bridge, Cedar Bay, DeWitt, NY. Photo courtesy of Ian Tucker. Dewitt New York is a charming little town in Onondaga County that is located east of the City of Syracuse with easy access to downtown Syracuse NY and within a 25 minute drive to the airport. The town is also the site of most of the campus and all of the academic buildings of Le Moyne College. Le Moyne is an independent college, established by the Jesuits in 1946, which has evolved into a nationally acclaimed college of liberal arts and sciences that draws students from across the United States and abroad. Jamesville is a hamlet in Dewitt NY. Jamesville is the site of the Jamesville Reservoir. The reservoir is in a park that contains a small beach, several short hiking trails and fields. The fields are the site of the annual Jamesville BalloonFest where dozens of hot-air balloons take to the air in one weekend. Shopping & Dining: Erie Boulevard East is a main thoroughfare through Dewitt which has numerous retail shops, eating establishments and one shopping mall (Shoppingtown). There are many chain restaurants in the area such as the Outback Steakhouse, Chili's Grill & Bar, Olive Garden, Panera Bread, IHOP, and TGI Fridays. Local restaurants include Scotch & Sirloin, Dark Horse Tavern, Dewitt Restaurant, Arad Evans Inn, GlenLoch, Rustons Diner and O'Sheas Tavern. Parks/Lakes/Recreation: The clear, cool waters of Jamesville Reservoir and sparkling Butternut Creek offer the ideal place to swim and cool off on a hot summer day. Fishing and non-motorized boating is also permitted. The Reservoir is also ideal for picnicking, hiking, volleyball (sand court) and using the fields for playing ball (football, soccer, baseball, etc). There are many which include Applecross, Boulder Heights, Bradford Heights, Crown Point, Dewittshire Dewitt Hills Drumlins Terrace, Lymestone Hill, Orvilton, Shadow Hill, Steinway and Woodridge. New Home Construction in Dewitt NY: There are several neighborhoods offering new home construction including Applecross, Boulder Heights, Crown Point, Shadow Hill and Steinway. How is the housing market in Dewitt New York? It is a buyers market in Dewitt. The average sales price is $140,000 and the average time it take to sell a home when priced correctly is 53 days. See Current Market Data in Dewitt Now! How is the market in Jamesville New York? The average sales price is $276,900 and the average time it take to sell a home when priced correctly is 40 days. See Current Market Data in Jamesville Now!